A medium to large cemetery adjacent to the church, Parokia Santa Rosa di Lima. 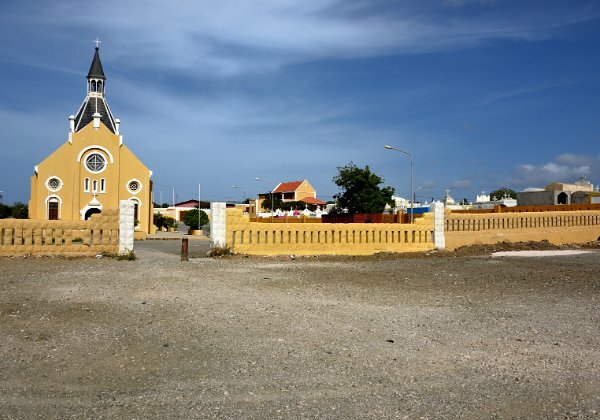 It is located at Santa Rosaweg and Weg Naar Santa Catherina on the Eastern end of the island. This cemetery is active, with recent burials. The gate is in the parking lot. Photographed July 7. 2016. Copyright (c) 2019 J.A. Maass.